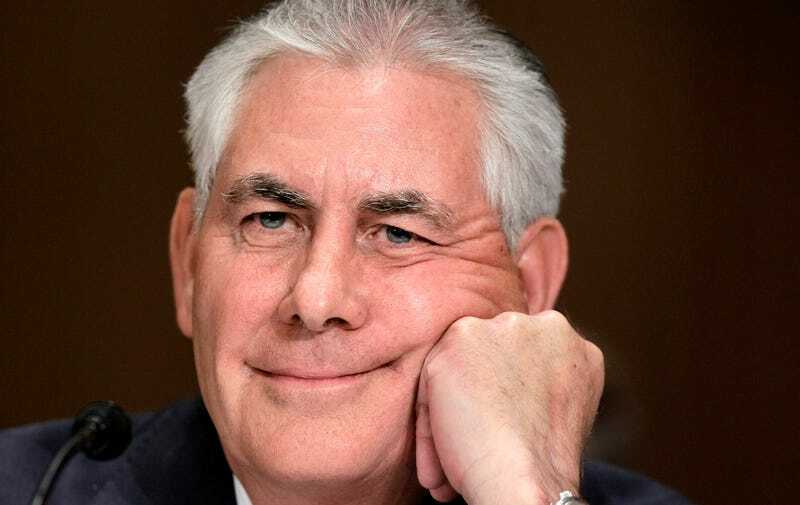 Donald Trump is poised to select Rex Tillerson, the president and chief executive of Exxon Mobil, to serve as Secretary of State, sources have told NBC News. Trump is expected to officially announce his decision next week. Trump publicly weighed several other rich white men for the position, though Rudy Giuliani withdrew his candidacy on Friday, and Mitt Romney will likely prove too sensible a choice for a cabinet surfeit with only the most odious of God’s creatures. Tillerson met with Trump on Tuesday at Trump Tower, and emerged as a front runner for the job over the last few days. Tillerson comes with a wealth of diplomatic experience—namely, his efforts to strengthen his oil company’s ties with Russia, a country with whom the U.S. is about to enjoy a radically different relationship than it has in years past. The Kremlin is so fond of Tillerson that it awarded him the Order of Friendship decoration in 2012, one of the country’s highest civilian honors. Exxon is in some trouble with state attorneys general in New York, Massachusetts and others for misleading investors about the long-term impact of climate change on its business, reports Bloomberg, as well as the value of its reserves following a global price collapse. In addition to Romney, former Central Intelligence Agency director David Petraeus, former Ambassador to the United Nations John Bolton and a handful of others remain in the running for the post—the fourth in line for the presidency.